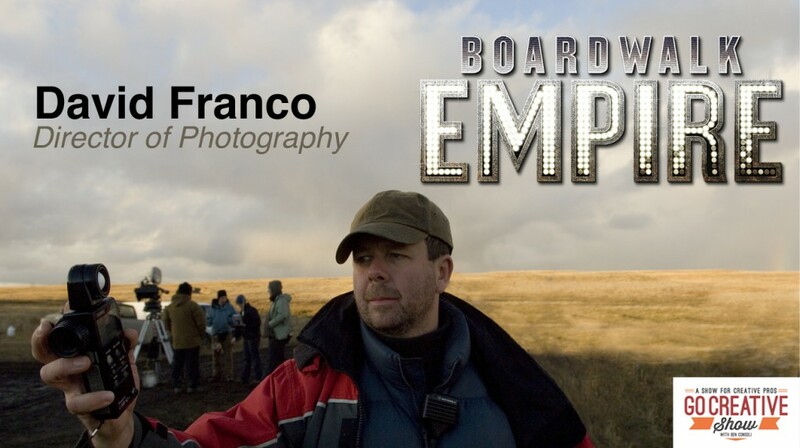 Today we speak with David Franco, the brilliant Director of Photography for Boardwalk Empire talking about his career, shooting techniques and of course an insiders perspective on Boardwalk Empire. Plus Mike Sutton from Rule Boston Camera comes by to talk about his experience with the MOVI. The Go Creative Show is supported by Kessler (www.kesslercrane.com), Rule Boston Camera (www.rule.com), and PremiumBeat.com. The GoPro Hero3+ is released. Matt Allard from NewsShooter.com shows you whats new? Mike Sutton posts a great demo video about the MOVI and talks about it on our show. Netflix goes SUPER HD.. What does it mean for you? Adobe is hacked, how can you protect yourself? Spotlight: Boardwalk Inspire. A Conversation with David Franco, DP of Boardwalk Empire.